Euro Cup is an annual 9-a-side national team Championship, played weekend after the AFL Grand Final (or the weekend of Grand Final reply :)). LR51 designed all previous logos (last 3 shown) and was commissioned to design this years logo and identity as well. 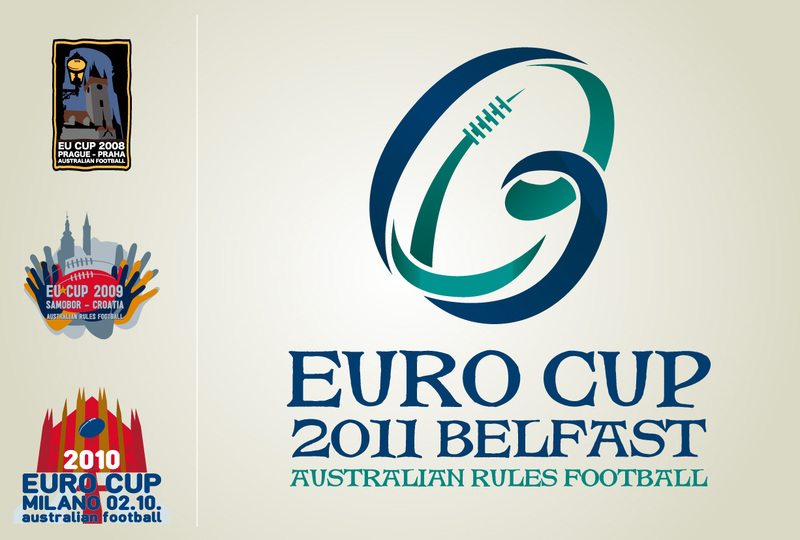 The logo is composed of big letter B for Belfast, but you can also find E and C (Euro Cup) in it as well. Obviously letter B forms a footy ball. As the tournament approaches LR51 will design (and post here) medals, trophies, T-shirts and all other merchendise that will be sold at the venue.